My friend Dave is a Home Infusion Therapy nurse in California. He spends his days bringing care and comfort to people. Aside from his superhero day job, he just happens to be a motorcycle nut. 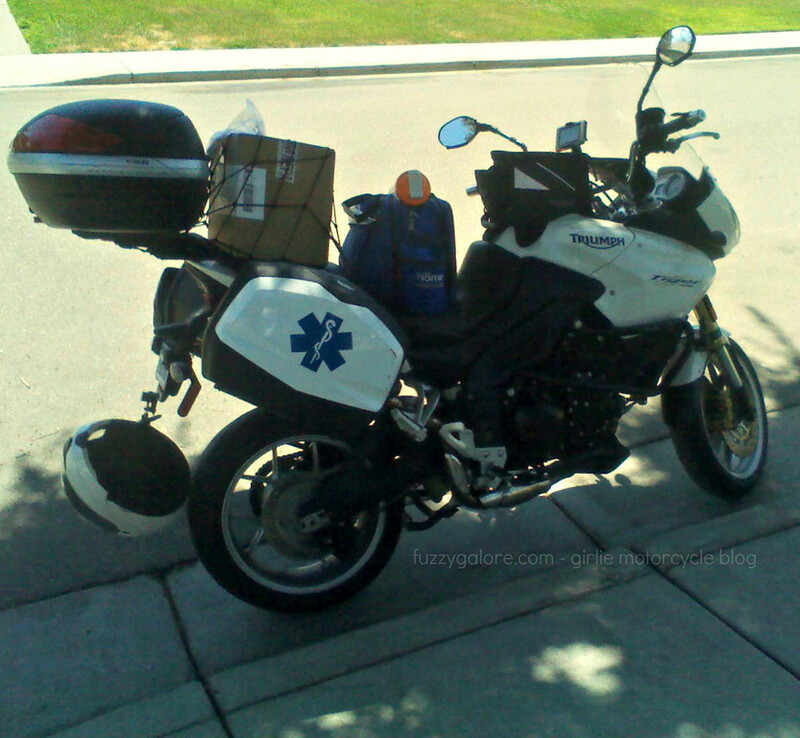 He combines work and play by making home visits on his Tiger. I love seeing motorcycles in utilitarian applications. Work and fun! Your friend Dave has the right idea. I am a motorbike nut too, I love the fact I get to use my bike for business and pleasure. I am one of the lucky ones! Thanks for the shout-out, Rach! I’m nowhere the rider you and Blondie are, but I am blessed with some of the best riding around here. Plus legal lane-splitting!